Our Meal Packing Event is this Sunday! In this Sunday's Gospel reading, Jesus tells his disciples, "For whoever wants to save their life will lose it, but whoever loses their life for me and for the gospel will save it." Food is a gift that sustains life. In our church and community, some of us love food, worry about food, lack food, or have plenty. Jesus calls us to use this gift not only to feed ourselves, but for the sustenance and well-being of every last one in our community. This Sunday, as we pack 24,000 meals to send to all the food programs in our neighborhood, we'll be responding to this call -- our church and the 120 volunteers from Advent and the community who have signed up. We will give ourselves, our time, our hands, and our joy to follow Jesus and see the Gospel in action. We are so excited for this Sunday! There are still a few more spaces left if you'd like to join us. Guided by our mission and ministry, we will address our building needs and envision how our building can best support our future ministry. Our pastors, staff, various committees, and the Congregation Council have been working hard to assess our ministry and building needs. 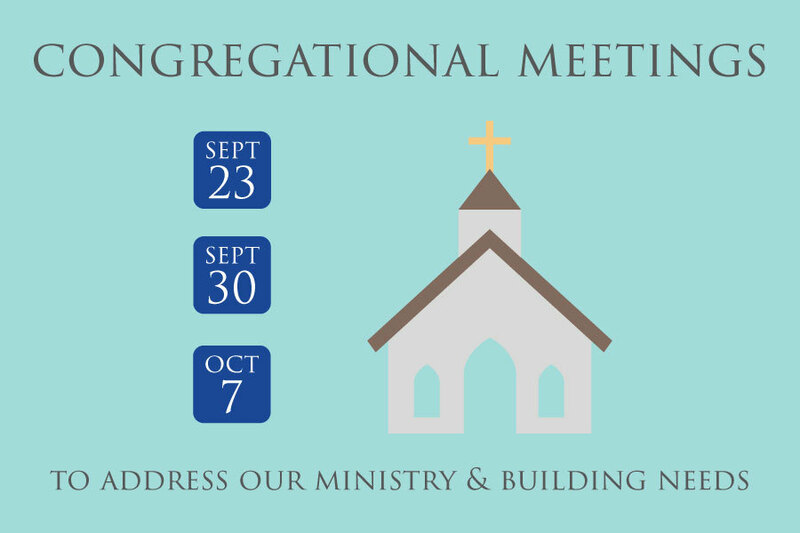 They now invite you to 3 congregational meetings in the fall to present, discuss, and decide on our next steps. When do the Sept 30 and Oct 7 meetings end? Our Sept 30 and Oct 7 meetings have no set end time. Plan to worship at 9am in English or 12:30pm in Spanish to fully participate in these meetings. We estimate they will be 1.5 - 2 hours long. 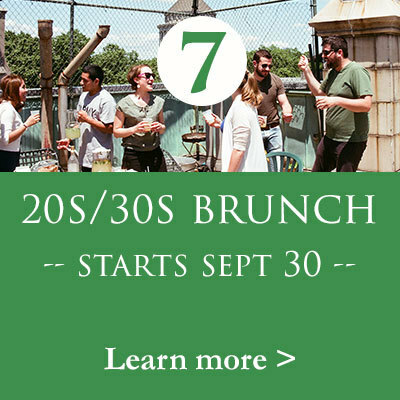 Will there be 11am worship on Sept 30 and Oct 7? Yes. We'll still have a simple 11am worship upstairs for visitors and anyone not attending the meetings. Will babysitting be provided during these meetings? Yes. Babysitting will be provided for all meetings so parents can fully participate. How should I prepare for these meetings? Below we've compiled all the documents we've sent out over summer that will help set the stage for our meetings. We recommend reading them all. These are documents we've previously sent out over the summer that will help prepare you for our meetings. Please read them if you haven't had a chance yet, and review as needed before our meetings. We have many ministries starting and re-starting this fall, as well as (in the next section) 6 highlighted opportunities to volunteer. These ministries center around worship, spiritual development, and social justice with a focus on immigration and hunger -- a direction we'll continue to grow, as shared in our 2018-19 Ministry Plan. You are invited to explore and participate in any one (or several) of these ministries and volunteer opportunities this fall. Thanks be to God for all these ways we can worship, connect, learn, and serve! What: Help with our Sunday School program, and lead activities and lesson for small groups. Many in our community are deeply connected to the mission and ministry of Koinonia Camp and Retreat Center, our Lutheran outdoor ministry partner upstate. Unfortunately, mold was recently found in many of Koinonia's facilities, presenting a costly hurdle to Koinonia's continued operation and ministry. This Saturday, a special meeting will be held about how to respond to this development. All are welcome. Marble Collegiate Church is celebrating Pastor Brown's 25th Anniversary of her Ordination, and Pastor Danielle is preaching at the ceremony! All are invited to join her in celebrating this milestone. College students! Our scholarship application deadline has been extended to September 15. You are invited to apply for a small scholarship to help with the cost books and other college expenses -- everything helps! And we are glad to help in this way.